O Banco Mundial é uma instituição financeira internacional que fornece empréstimos para países em desenvolvimento em programas de capital. Against the backdrop of a slowing global economy and lower commodity prices, economic growth in the Middle East and North Africa (MENA) is stagnating. 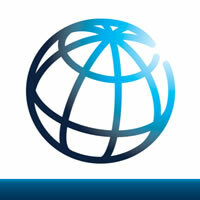 The World Bank 2015 MENA economic monitor report projects overall gross domestic product (GDP) growth to be less than 3 percent for the third year running - about 2.8 percent for 2015. Low oil prices, conflicts, and the global economic slowdown make short-term prospects of recovery unlikely. In a positive scenario of decreasing tensions in Libya, Iraq, and Syria, together with recovery in the Euro area that can boost external demand, growth in the region can rebound to 4.4 percent in 2016 and the following year. However, if current circumstances persist, overall growth is not expected to recover any time soon. Since the 2011 Arab spring, though not necessarily because of it, the MENA region has seen a slowdown in economic growth, an escalation of violence and civil war and, more recently, substantial macroeconomic imbalances from lower oil prices. Matching grants are one of the most common tools used in private sector development programs in developing countries and have been included in more than 60 World Bank projects totaling over US$1.2 billion, funding over 100,000 micro, small and medium enterprises. The Enterprise Revitalization and Employment Pilot (EREP) was designed as a two year pilot project aimed at improving firm capabilities and the employability of recent graduates. The matching grant component provided firms with a matching grant of up to $10,000 as a 50 percent subsidy towards the cost of innovation and business services like finance and accounting systems, website creation, training, marketing, participation in exhibitions, and some associated goods. The program implementation was designed with the lessons of other matching grant programs in mind in order to overcome their problems with take-up: eligibility criteria were kept broad; the application form was not complex and could be done either online or in paper; and the program was well-advertised. The World Bank Group has been working on investment climate reform in Sub-Saharan Africa for nearly a decade, a period characterized by dramatic economic growth on the continent. Establishing links between such reform interventions and economic growth, however, is a complex problem. Although this note finds some connection between investment climate reform and economic growth, establishing more concrete evidence of causation will require greater focus at the country level, as well as on small and medium enterprises. This is where investment climate interventions generate change. Today’s adolescents and youth face substantial physical, social, and economic barriers to meeting their sexual and reproductive health (SRH) potential. Niger has the highest fertility rate in the region and the world, as well as lowest age for marriage and childbearing. Early marriage and childbearing have been identified as key contributors to high fertility and maternal mortality in the region. To understand how countries are addressing adolescent SRH and rights (SRHR), the World Bank conducted a quantitative and qualitative study in several countries with a high adolescent’s SRH burden including Niger. The specific objectives of the study were to: (i) investigate adolescent’s socio-economic profile; (ii) analyze adolescent’s sexual and reproductive health status and its determinants from a demand and supply-side perspective; (iii) assess effectiveness of existing adolescent friendly initiatives and programs; and (iv) recommend a set of policy options to improve access and use of services for adolescents in Niger. This knowledge brief provides a brief background on adolescent SRH in Niger and summarizes the results of this study. In Papua New Guinea the poorest quintile is most vulnerable to illness, yet has the lowest utilization rates of healthcare facilities. When looking at age groups the elderly ( 55) are the most vulnerable to illness and the least likely to seek treatment. The lack of healthcare workers and the distance to facilities are among the most dominant reasons cited for not utilizing heath care in the poorest quintile. The perceived quality of services is a barrier to health care utilization across all quintiles. Out-of-pocket (OOP) payments have minimal catastrophic impact, yet have been found to still be a barrier to utilization - especially amongst the poorest quintile. The government should focus on and prioritize strengthening the health services delivery to achieve universal health coverage. While the Iraqi education system was widely regarded as one of the best in the Middle East and enjoyed near-universal primary enrollment until the 1980s, the next decade marked a serious downturn in results. The sector witnessed low primary and secondary enrollment and attendance, outdated curriculum content, and deteriorating learning outcomes. In order to get children back to school, the government needed large, fast, and quality investments in the education system. 100 million dollars was allocated to the education sector under the World Bank Iraq Trust (ITF), set up jointly by the World Bank Group (WBG) and the United Nations Development Group (UNDG) to administer donor funding for Iraqi reconstruction. This quick note summarizes how innovative approaches to procurement led to exemplary service delivery results in Iraq’s education sector. The focus is on two breakthrough achievements: large-scale textbook printing and delivery, under the emergency textbook provision project and school construction in the newly rehabilitated marshlands of Southern Iraq under the marshlands school construction project. Trade facilitation connects economies and provides opportunities for business growth. However, the national agencies involved in trade often have different objectives, lack coordination with peer agencies in other countries because of different national priorities, high workloads, and absence of platforms to consult with each other. Such a divergence of interests is a challenge when the goal is to address, and seek consensus on, trade issues on the regional level, while undertaking capacity building and reform activities at the country level, all with the objective to benefit the private sector. The International Finance Corporation (IFC) Western Balkans trade logistics project faced this challenge. In addition, the project was constrained by limited financial resources, so marrying effectiveness and efficiency was key to achieving results. This smart lesson summarizes lessons learned from the project implementation. The national hospital insurance fund’s (NHIF) mandate by the Ministry of Health (MOH) of Kenya to implement universal health coverage (UHC) generated controversy among stakeholders. Prior allegations of corruption and financial sustainability of the initiative were key concerns. The World Bank Group (WBG), through collaboration between the health in Africa initiative program and the Kenya health sector project, worked with the NHIF on a reform agenda and advised on a strategic review of the organization. The WBG had an extensive dialogue with the NHIF and MOH which led to the approval of an independent strategic review that concluded that, although there had been reputational challenges in the past, NHIF has the capacity to deliver universal health coverage in Kenya. Electrification can be a significant driver for improving livelihoods in rural communities. In rural Mali, where more than 80 percent of the country’s population lives, the electrification rate is only 15 percent. Increasing access to electricity in rural Mali is crucial for economic development, social cohesion, and reconstruction following the country’s recent period of conflict, political instability, and food insecurity. This note discusses an innovative output-based aid (OBA) project in rural Mali, the first such project in the energy sector to support development of mini-grids on a large scale. The project complements an innovative hybrid-system model supported by the International Development Association (IDA) and climate investment funds and scaling up renewable energy in low income countries program (SREP) to expand rural access to modern energy services and increase renewable generation. The use of digital channels is changing the way financial services can be delivered to poor people. Growing mobile phone usage and the development of agent networks enable customer access too timely, low-cost digital financial services (DFS) (World Bank 2014). Despite this, active use of DFS is relatively low. In this brief, the author address the inactivity problem faced by many financial service providers (FSPs) and some of the underlying causes related to customers’ experiences. The author explores how empowering customers can help address this issue and the role FSPs can play. This exploratory Brief reflects our hypothesis that customer empowerment, here defined as a process that builds customer trust and confidence through an interactive relationship between providers and their customers, can lead to a win-win for both providers and customers. Although international funders have been longstanding supporters of financial inclusion, their commitments have been put to the test in the past five years. The financial crisis led to a more challenging economic environment and budget cuts at public donor agencies. Results of impact studies made the expectations of microfinance more realistic. Yet, international funding continues to grow. In 2013, international funders committed at least 31 billion dollars to support financial inclusion - an estimated increase of 7 percent on average per year between 2011 and 2013. This brief analyzes trends in the international funding landscape based on consultative group to assist the poor (CGAP) research. Microfinance has been a lifeline for many low-income people at the base of the pyramid, helping them break the cycle of poverty and improve their lives. Yet the rapid growth of the microfinance industry, combined with limited financial literacy among its customers, made it particularly vulnerable during the 2008-2009 global financial crisis. To expand short-term financing solutions to the microfinance industry following the crisis, to keep credit flowing during a period of unprecedented financial strife, International Finance Corporation (IFC) launched the microfinance enhancement facility, one element of its comprehensive counter-cyclical crisis response package. A timely response was critical, and implementation risks were high. This smart lesson shows how strong cooperation with partners and the decision to develop an outsourced model contributed to the success and reliability of this crisis-response initiative. Rahees Mohammed and his wife lived in a rented house in a slum and had one wish - to build a house that will be a permanent home for the whole family. Aadhar Housing Finance Private Limited can help Rahees realize his dream by offering a housing finance product that corresponded to his needs, preferences, and capacities. This smart lesson, building on Aadhar’s experience and that of other housing finance clients in South Asia, provides a brief overview of the do’s and don’ts for the implementation of housing finance products. Nearly 80 percent of adults in Sub-Saharan Africa do not have an account with a formal financial institution. Despite recent well-publicized successes in increasing financial inclusion in a small number of African markets, such as Kenya, hundreds of millions of African adults still lack access to affordable financial services. In response to this need, International Finance Corporation (IFC) and The MasterCard Foundation partnered to introduce alternative delivery channels in IFC’s key microfinance partners in Africa. Although the partnership is still at an early stage, this smart lesson distills some general lessons from two of the first alternative delivery channel engagements. These lessons may be useful for other IFC teams in structuring such projects with microfinance clients. Sudan has the potential to become a dynamic economy and a bread basket for the Arab world and East-Central Africa. However, resource endowment is not sufficient to bring about sustainable growth and prosperity. Sudans macroeconomic conditions remain weak since the secession of South Sudan in 2011, despite some improvements. The repercussions of the secession of South Sudan present enormous challenges for Sudan with respect to managing the macro-fiscal adjustment and promoting a structural re-orientation of the economy. The signing in March 2013 of the implementation matrix of the agreement between Sudan and South Sudan provides some fresh financial relief to Sudan and creates a great opportunity for further policy reforms to address the post-secession challenges. Sudans growth strategy should involve policies aimed at improving the investment climate and broadening private sector-led growth, and diversifying the economy toward non-oil sectors such as agriculture, industry, export, and local trade.